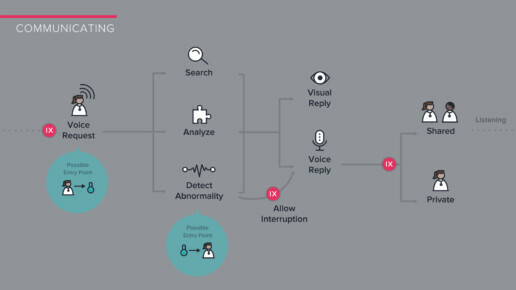 Conversational User Interfaces (CUIs) like the Amazon Echo are on the brink of changing how we interact with everyday technology. But how can these CUIs go beyond being a mere personal assistant? How can the technology create a symbiosis with a human where both are able to do more than they would alone? 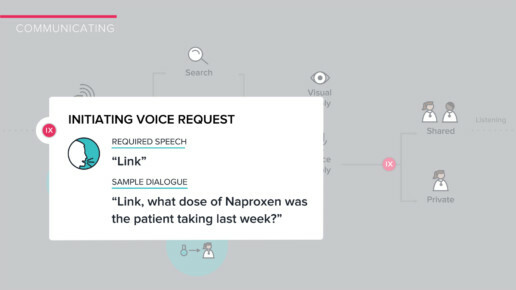 In order to explore these questions, my team worked with medical professionals to understand how a CUI could be integrated into their routines to relieve stress. 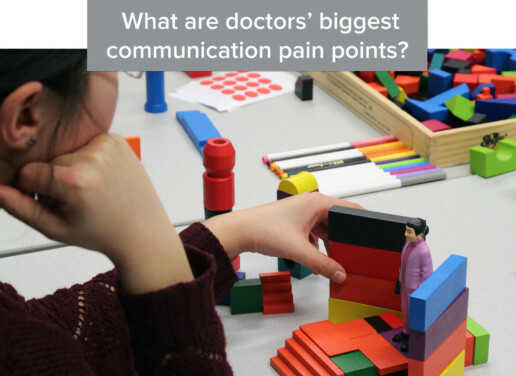 While doctors are bombarded with stress from a variety of angles, we found that CUIs could relieve communication burdens that doctors were experiencing. 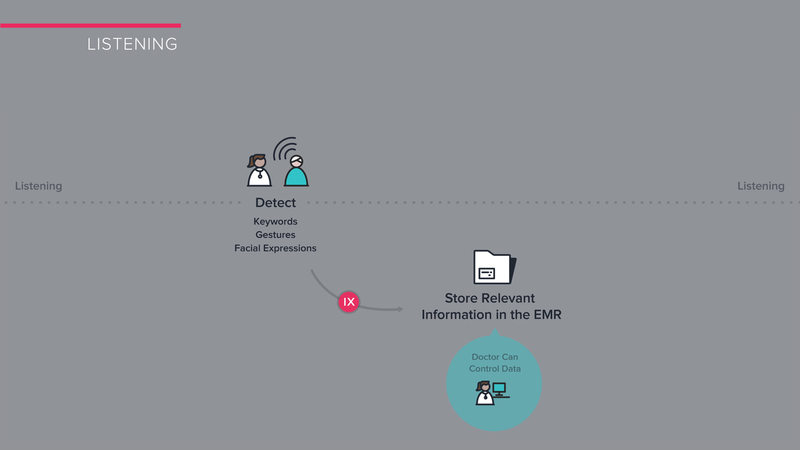 The recent shift to electronic health records (EHRs), while creating consistencies across providers, was adding an extra burden to their workload. 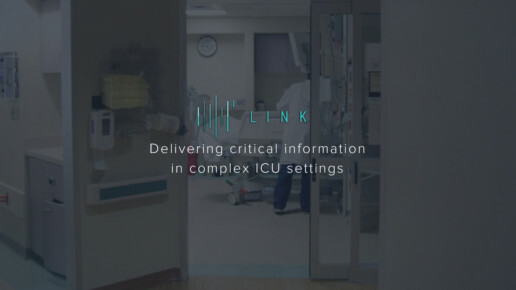 After 15 weeks of research, brainstorming, and prototyping, we proposed Link, a CUI to deliver critical information in complex ICU settings. I worked with fellow CMU design grad students Tracy Potter and Calvin Ryu collaboratively on the research and design of this proposal for the 2016 Microsoft Expo as a part of the CMU MDes IXD Studio II. Project Brief: Design a conversational user interface keeping in mind J.C.R. Licklider’s definition of human-computer symbiosis. How might we design a conversational interface to support people rather than replace them? After eleven interviews and six participatory workshops, we developed three guiding principals for developing Link. Doctors do not want tools that take over their job as decision makers. 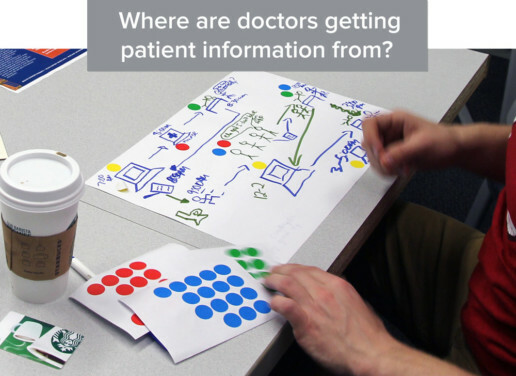 Doctors’ strength is creating narratives from patient information. Doctors have individual styles of interpreting data. 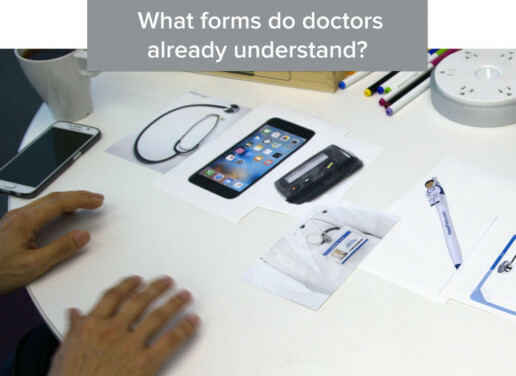 Doctors spend too much time reinterpreting the data from medical records. Sources of data change over time. Doctors receive information from many channels. We followed Bruce Hanington’s design process. After establishing a field of interest involving caretaking and the medical field, we interviewed medical professionals to get an understanding of how they viewed well-being. We initially thought that common issues associated with well-being, like sleep and healthy eating, would be the biggest concerns of doctors. 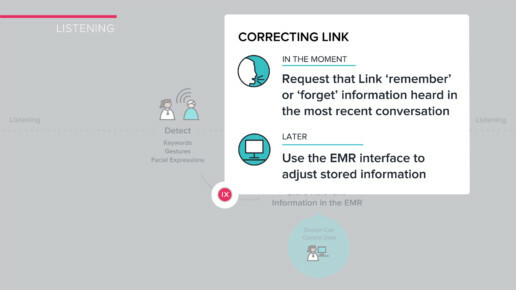 However, our interviewees repeatedly brought up the stress surrounding communication in their workplace that the transition to electronic health records was causing. 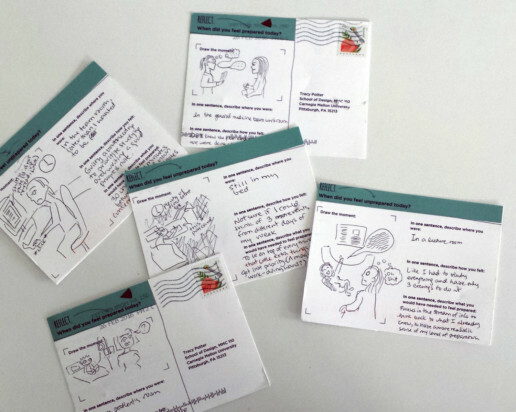 In addition to interviews, we sent out mini-cultural probes to medical professionals asking them to fill out postcards for a week expressing what made them feel prepared or unprepared throughout the day. 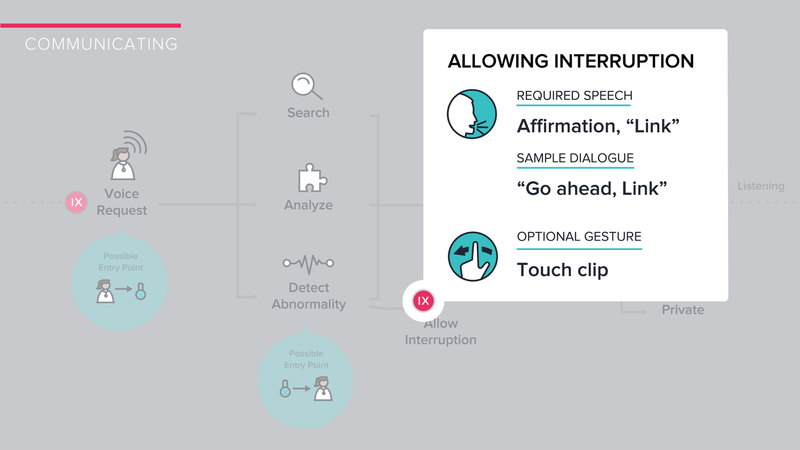 We were hoping to capture a more in-the-moment understanding of the barriers to their workflow. Many cards reiterated what we had heard in the interviews on a more emotional level—struggling with the EHRs and the computer was frustrating! During the generative workshops, we established questions we wanted to probe further and then developed activities to perform with a group of medical students as well as an ICU fellow. 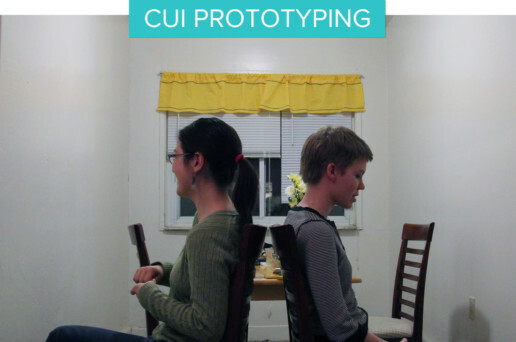 Because we worked with two groups at different stages of their medical career, it became clear that while both had similar issues with communication and technology, they had different needs and the CUI would need to be able to adapt. 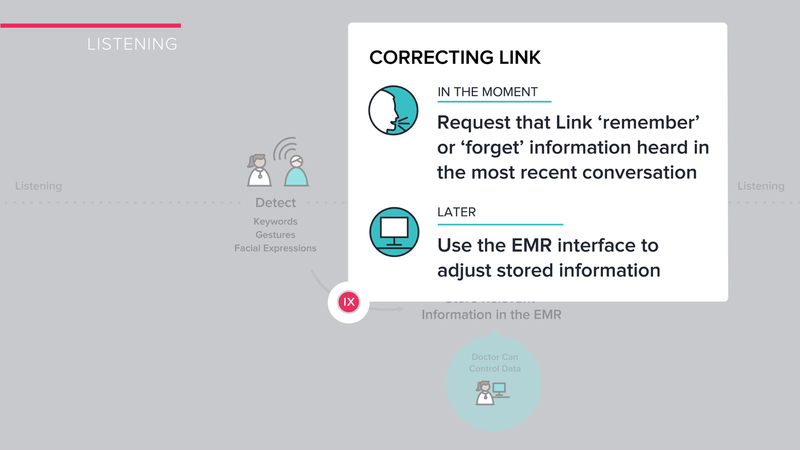 A recurring theme with both groups was how the source of information shifted over time (first from an arriving patient and then to the health record) and how it was the doctor’s job to synthesize the information and create a coherent narrative. 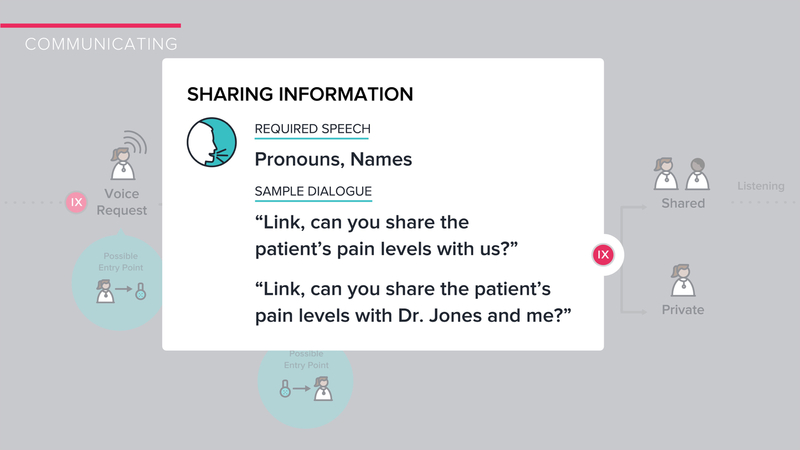 Both groups emphasized the overwhelming amount of data they had to parse—they advocated for a tool that would surface the most relevant data to them without taking over their job of synthesizing and empathizing. 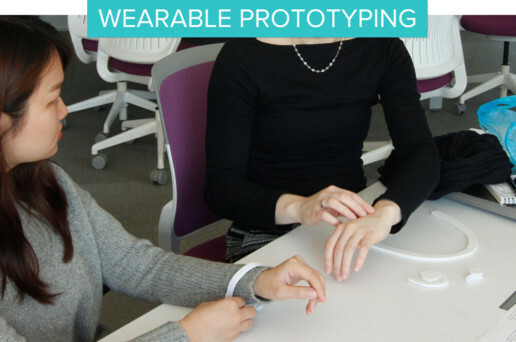 For these workshops, we were able to take our learnings and begin prototyping a CUI that would support—but not replace—doctors in a high pressure environment such as the ICU. 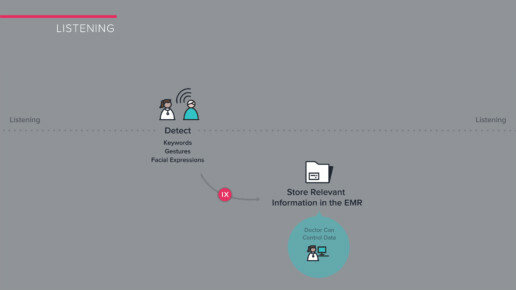 The CUI could direct doctors to relevant data (while maintaining the doctors’ control over that data and ability to direct what the data means). 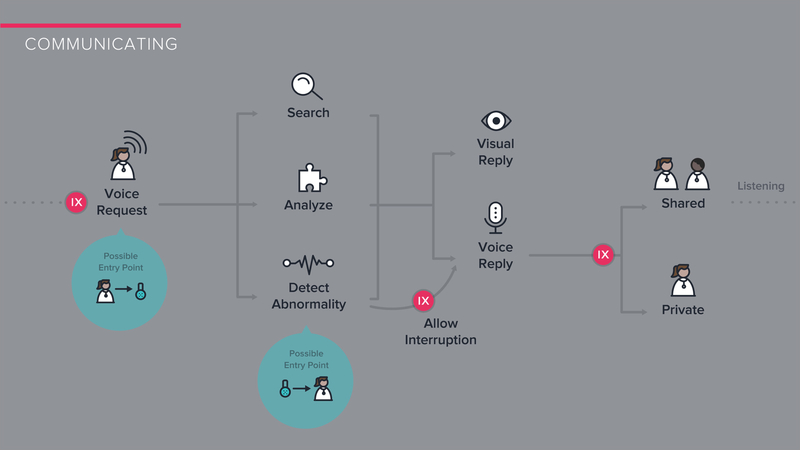 Because CUIs are an emerging technology, there are not established methods for evaluating products. 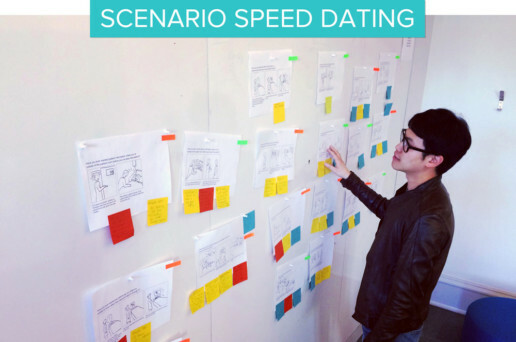 Some methods, such as scenario speed-dating, carried through, but our team blended other methods to test the anticipatory aspect of our CUI. During the scenario speed dating, we were able to narrow the scenarios that our CUI would be most relevant to (quickly receiving relevant information during an emergency, communicating with patients and communicating with an unresponsive patient). We also explored the personality of the CUI using role-playing and found that as long as the CUI stuck with factual information, our participants preferred a more suggestive personality. With these learnings we were able to refine our proposal for submission.